Welcome to the Patient Center for Pack Optical. We understand that your time is valuable and in order to facilitate your visit, we have created a Patient Center where you can access everything you need to get started! 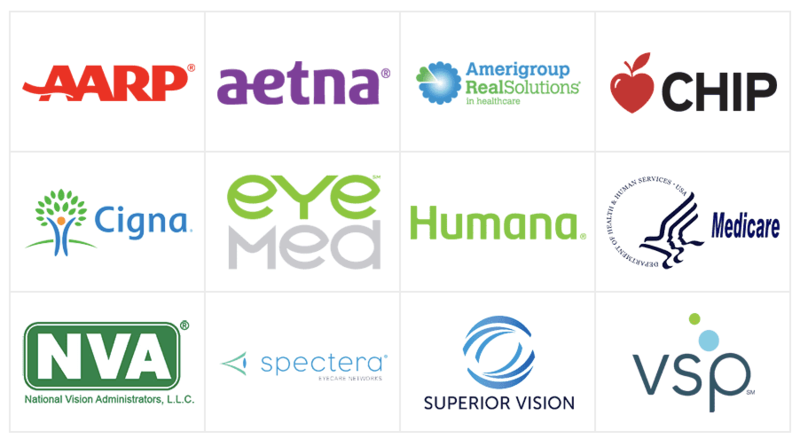 Pack Optical accepts most major insurance plans. Here is a list of just a few of the major insurances we accept. We also accept Medical Insurance for Diabetic Check appointments. To see if we work with your insurance carrier or vision care plan, please call our office for assistance. Our friendly and informed staff will be happy to answer any questions you may have. Pack Optical offers a number of cutting-edge vision care services and products at our optometrist office in Fort Worth. To learn more about the specific products we offer and the conditions we treat, please select one of the subcategories below and request an appointment with your eye care provider.